﻿﻿﻿﻿Create Amazing Cards, Beauitful Packaging and Charished Gifts this Holiday Season! There is nothing better than making homemade cards, packaging and charished gifts and when you use Stampin’ Up products it's even easier. 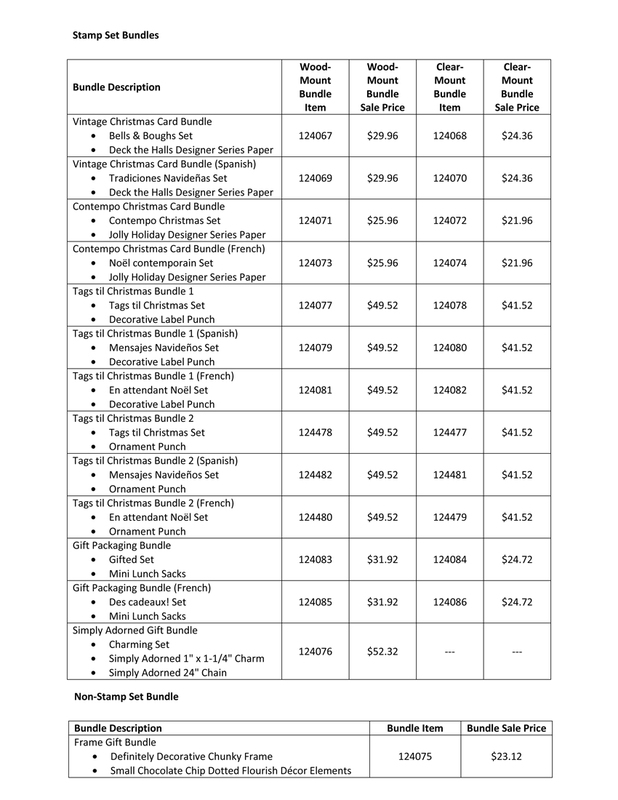 From October 19-December 16, Stampin' Up is offering something NEW Holiday Bundles! 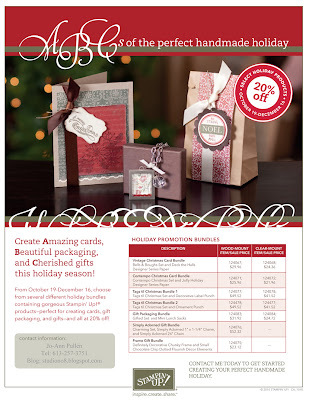 Choose from several different holiday bundles containing gorgeous Stampin’ Up! products—perfect for creating cards, gift packaging, and gifts—and all at 20% off! Purchase one of these holiday bundles from me and get the workshop for FREE. 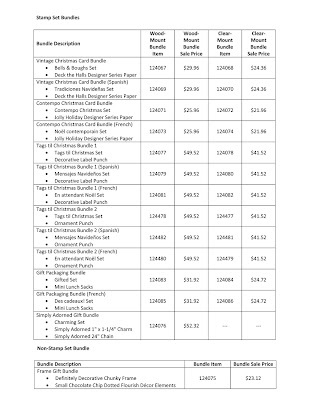 Here are the list of bundles and descriptions, let me know if there are any questions. To order by e-mail or by phone 613-257-3751.